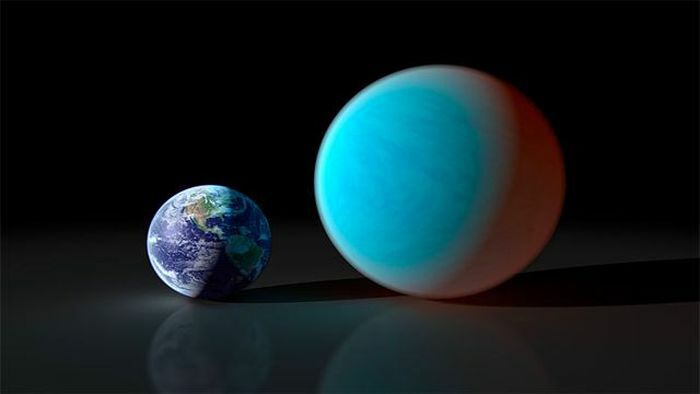 55 Cancri e is an entire planet made out of diamond. Take that Bill Gates. 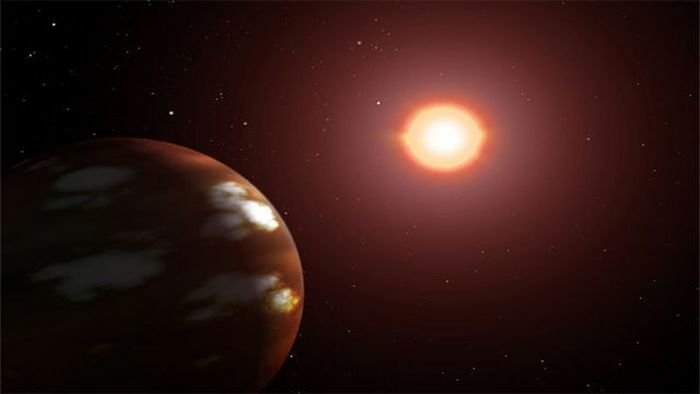 Although it’s 439 degrees celcius on Gliese 436 b, it’s watery surface doesn’t evaporate. Instead, the molecules pull together to form something known as “hot ice”. 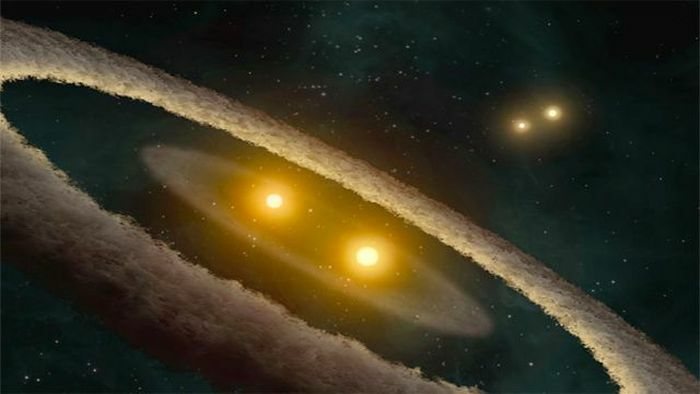 With six stars orbiting around a central mass, this system is over 54 times as bright as our sun. Remember the planet of burning ice? 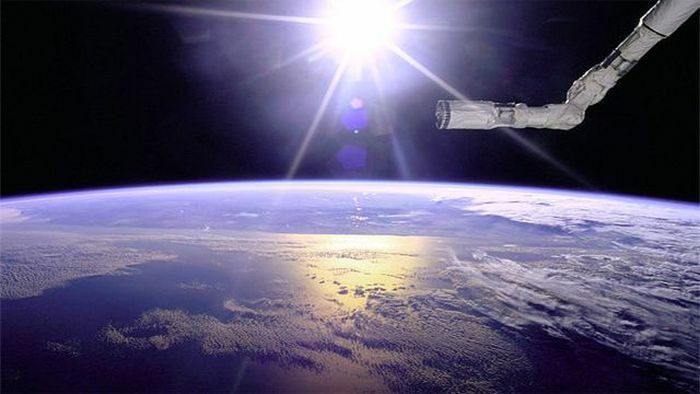 Well this one is its neighbor and scientists say that it is the most likely candidate for future colonization. It doesn’t spin so the bright side is super hot and the dark side is freezing cold but in between there is a small strip of temperate territory. 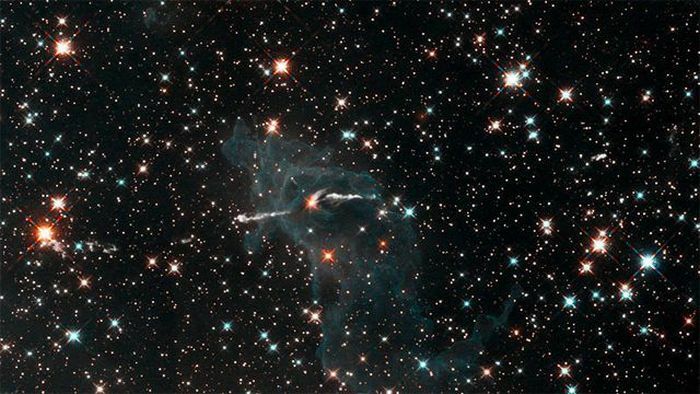 Yes, there are actually stars pummeling through space at trillions of miles per hour. 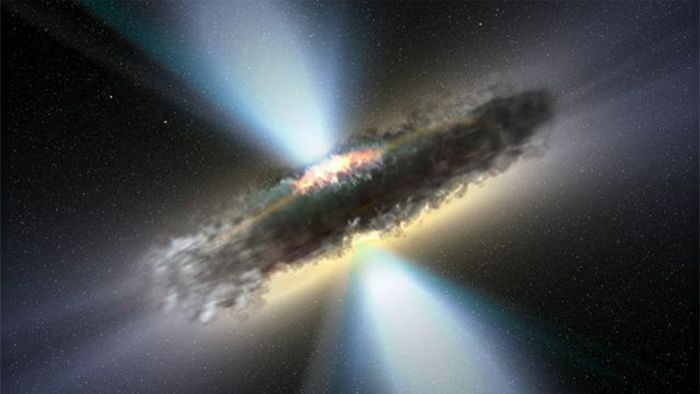 Emanating from a nearby black hole, this current is over 1.5 times the size of the Milky Way. 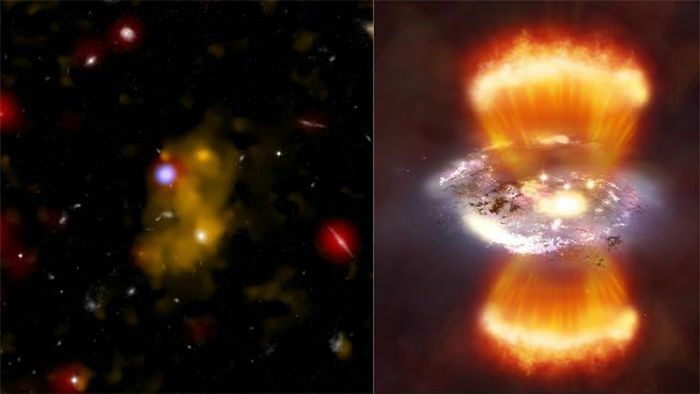 Supposedly one of the largest objects in the known universe, it’s over half the size of the Milky Way. Although Himiki is huge, the LGQ is ever bigger. 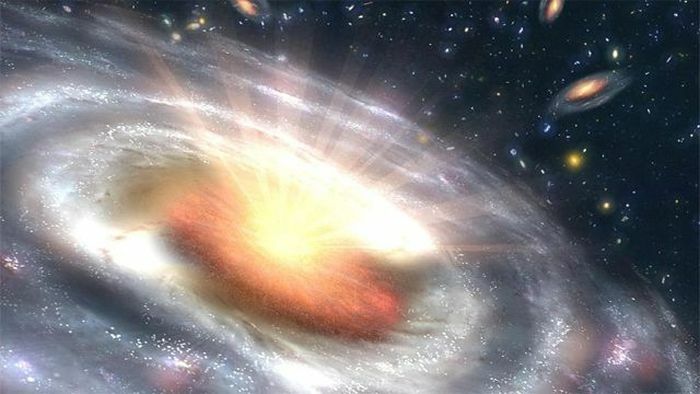 It’s forty thousand times larger than our galaxy and even breaks some standard laws of physics. 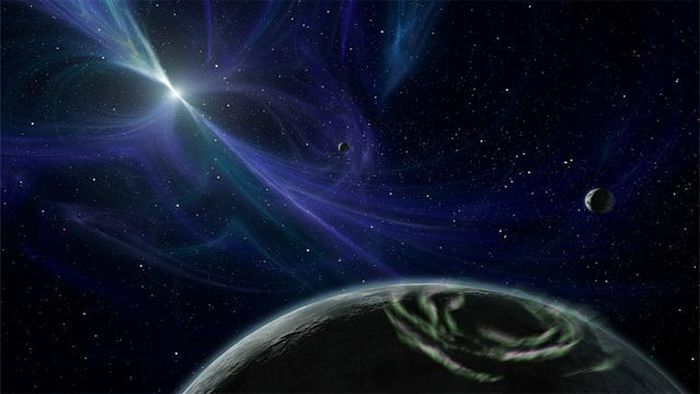 What you are looking at is actually a blue star directly behind a yellow star. 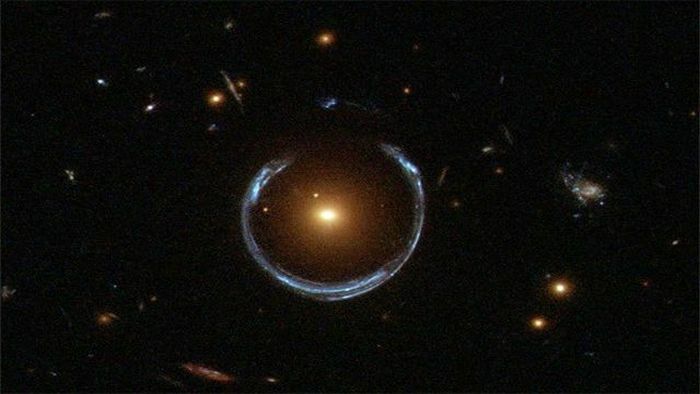 Light is just being bent so the blue star gets warped. 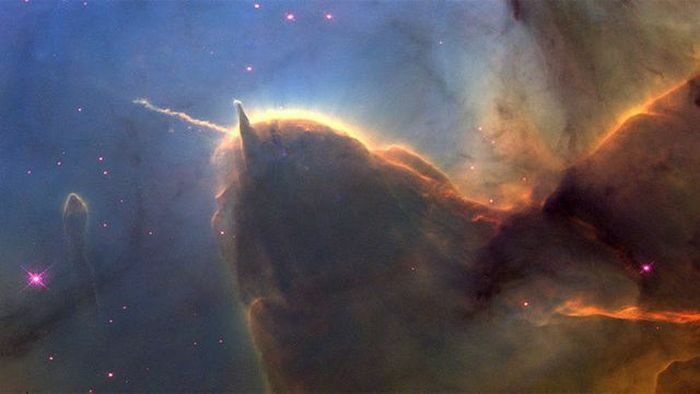 Ok, not really, but the Trifid Nebula certainly bares a resemblance. 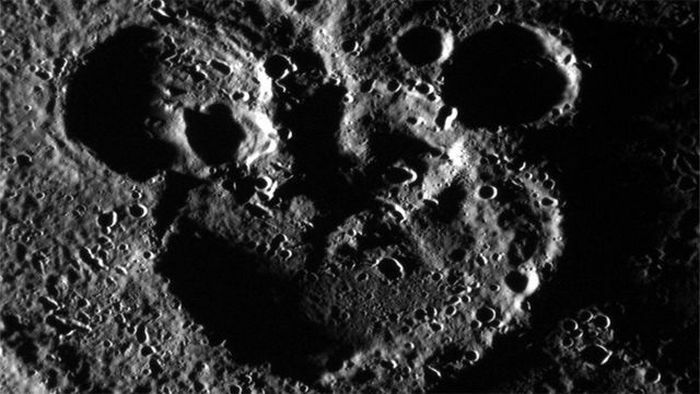 And that would be the mouse carved into the side of Mercury. 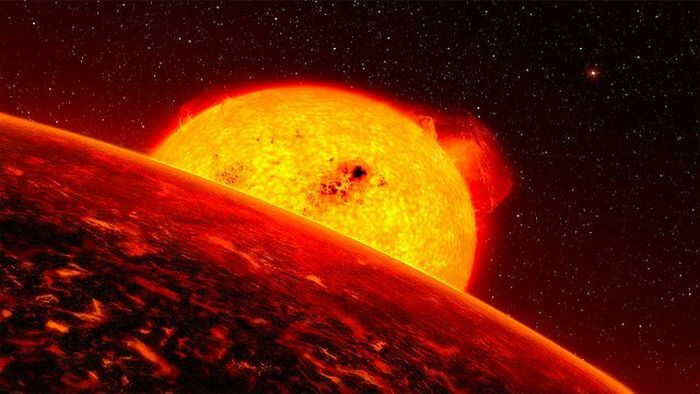 Although we’re used to stars being blazing hot, scientists recently found a star that is only 89 degrees fahrenheit. 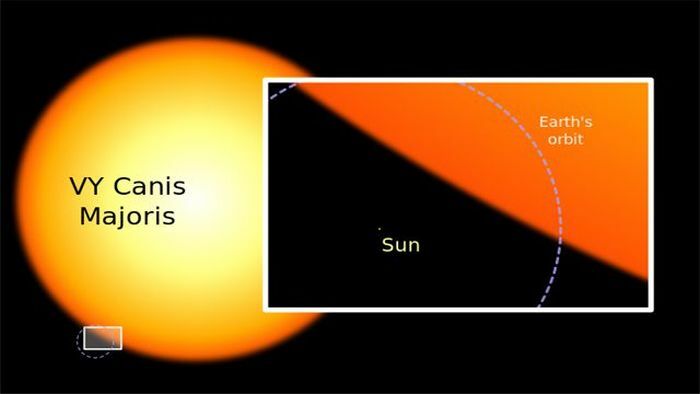 If you thought the sun was big, allow us to introduce VY Canis Majoris. 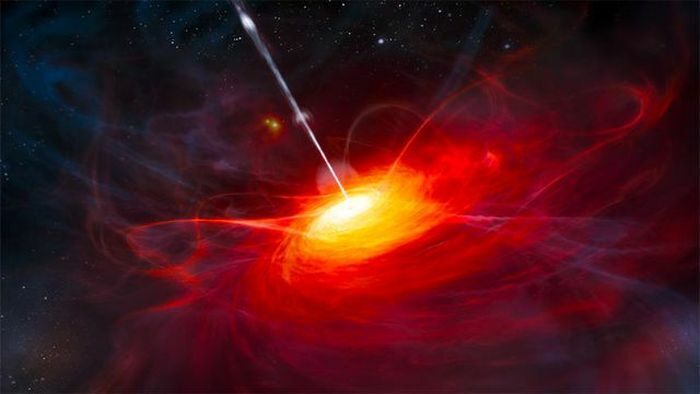 At 200 million light years across this blob from the other side of the universe gives the Large Quasar Group a run for its money. It’s basically a huge nursery for stars that’s hundreds of millions of light years across. 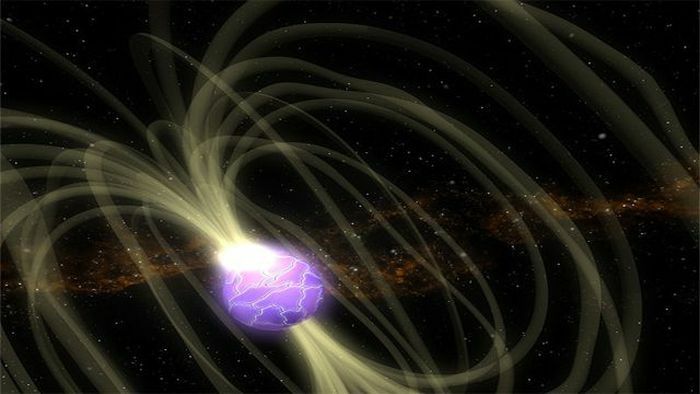 Spinning out of control these stars could destroy your credit card with their magnetic field from hundreds of millions of miles aways. 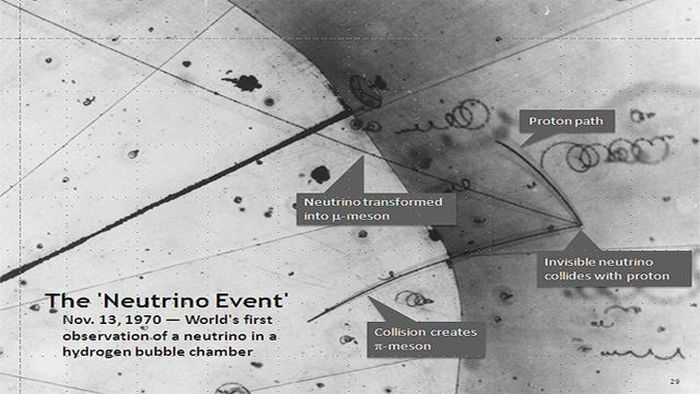 If you were to hold up a dime for a second, that would be long enough for about 150 billion tiny, massless neutrinos to go plummeting through it. 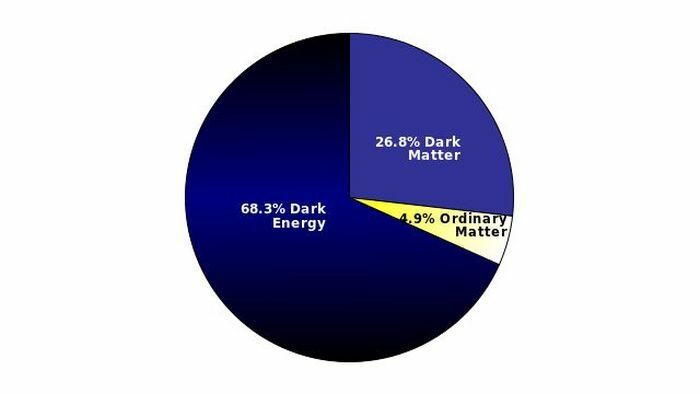 To really make things interesting, the remaining 68% is something known as dark energy, and whatever it is it’s pushing the universe apart at top speed. 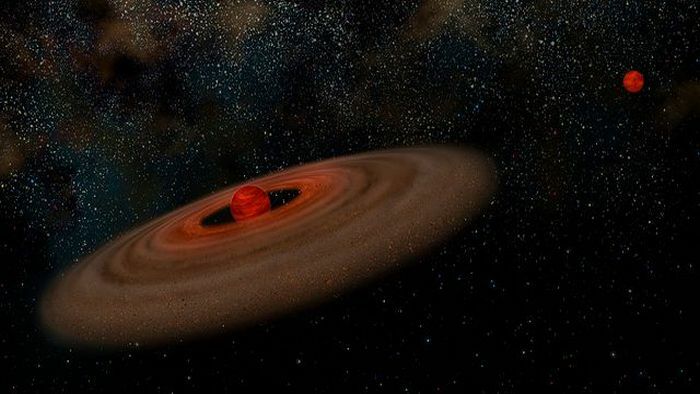 Although it may sound weird because we live on one, there is currently no theory that can fully explain how a bunch of gas and dust surrounding a star comes together to form a planet, especially a rocky one. 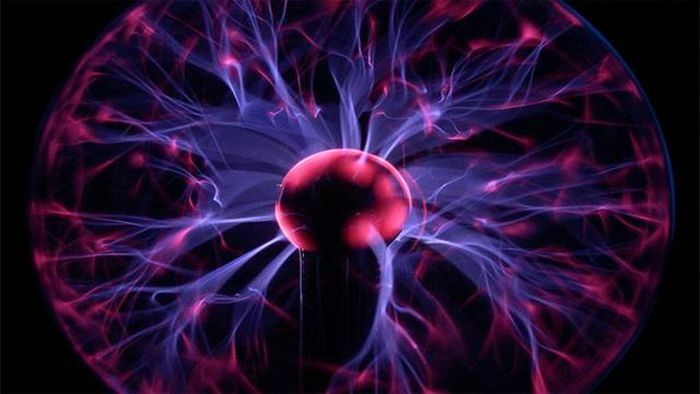 The weakest and most pervasive force in the universe still has scientists guessing as to its origin. 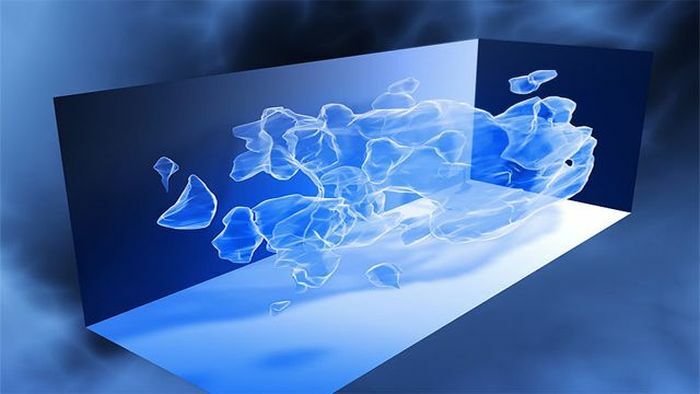 Beyond a black hole’s event horizon, or gravitational border, nothing can escape. Not light, not matter, nothing. 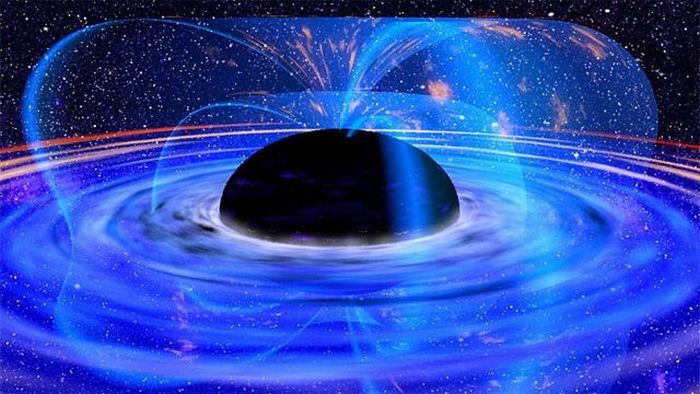 Supposedly the opposite of black holes, they only exist in theory. The matter goes in one end and out the other. 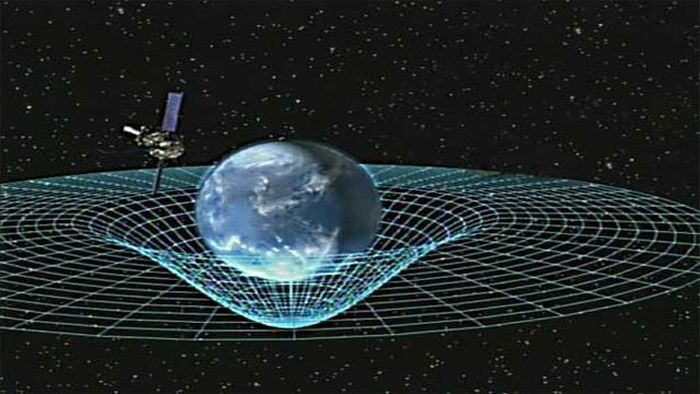 Some say they could be the key to crazy things like time travel. Gawd I love science ! You'll need to find your science elsewhere. A lot of these aren't true. I.e. #7, "trillions of miles per hour" is faster than the speed of light. 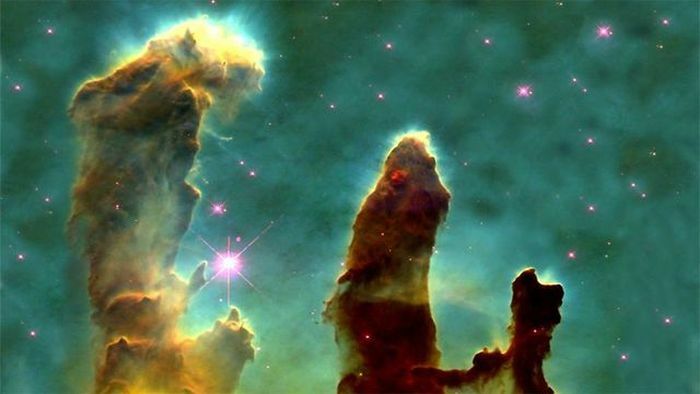 #17 - the Pillars of Creation can't be "hundreds of millions of light years across." 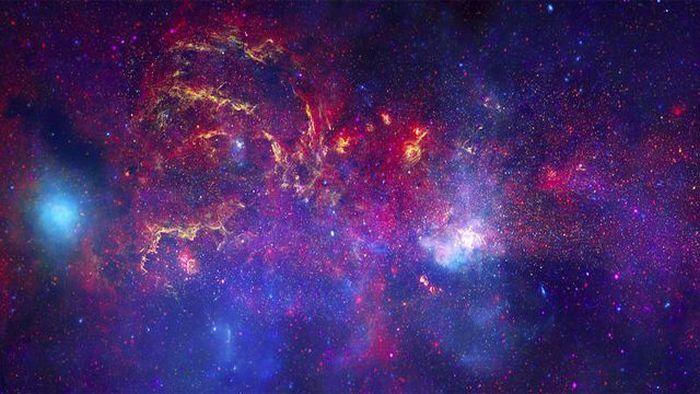 They are inside the Milky Way galaxy which is only about 100,000 light years across, and there is certainly room left over in here for other things, like us. #17 Show us a couple of 'new born stars', will you? #23 Easy - out of nothing it created itself.